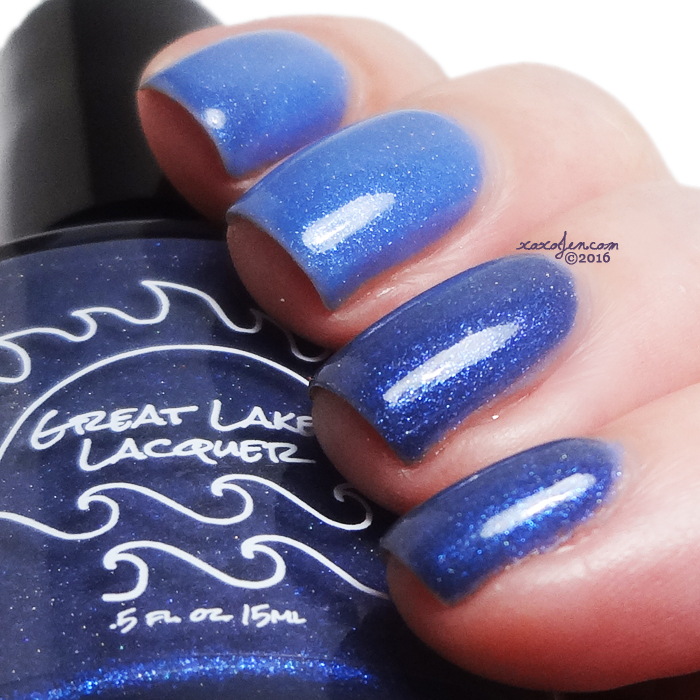 Great Lakes Lacquer is doing a special release of various small batch pours on December 15th at 1pm Central. 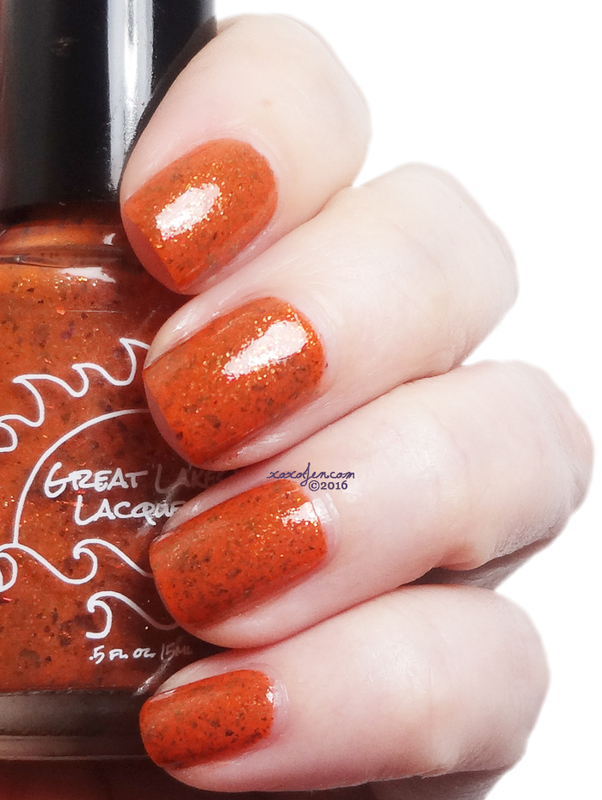 There are going to be at least five more colors available than what I've reviewed below. These are limited from 10 to 20 bottles of each and will not be remade. Once they're gone, they're gone. I've also included one of the December LEs at the end of my review, Fade to Winter, which has already launched. Every Little Thing: Every little thing counts. 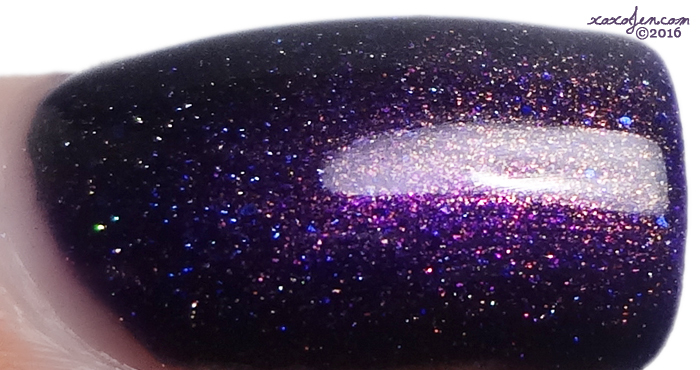 A medium red based purple with blue and pink shimmer and a scattered holo finish. DO NOT Pumpkin Spice Everything: Mariah is not a fan of pumpkin spice, apparently! 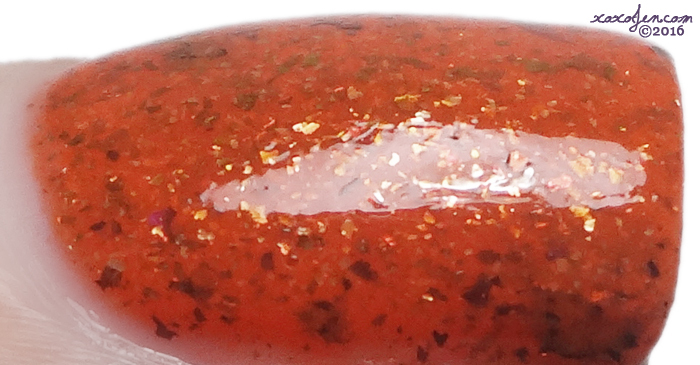 A slightly burnt orange with bronze and gold flake and red to gold multichrome flake. That's Not How Any of This Works: A shout out to current events. 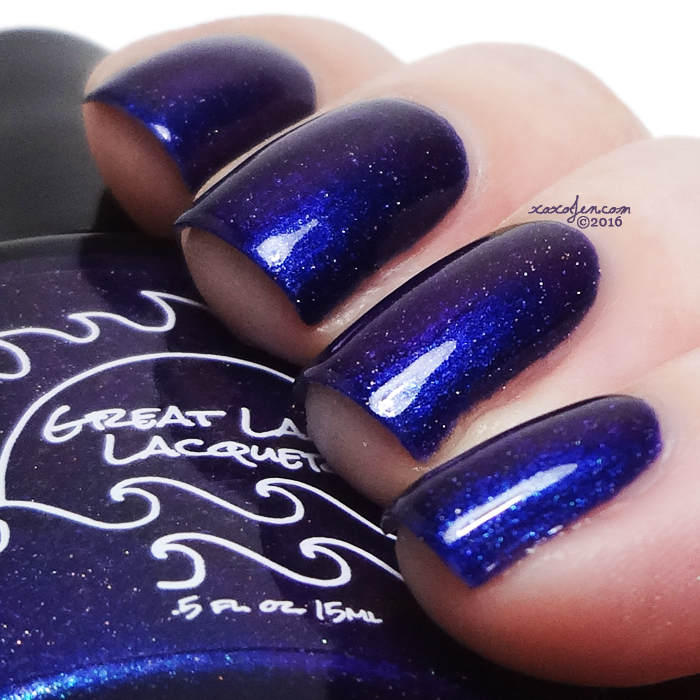 A midnight blue multichrome that shifts from purple to blue to red with blue micro flake and a scattered holo. 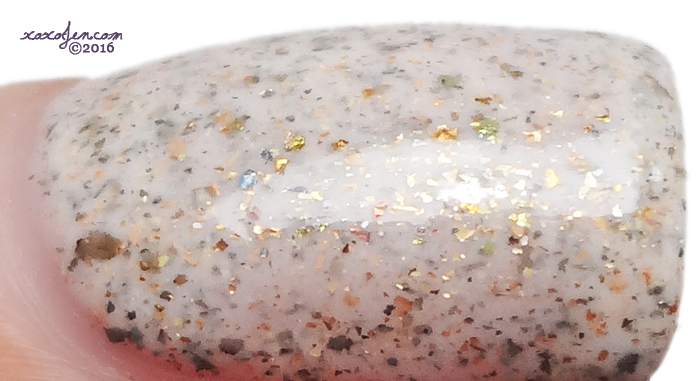 There's Garlic In His Soul: A white crelly type polish filled with gold to bronze multichrome flake, gold and bronze micro flake, and bits of dark gray micro flake. FU2016: I really have to hope that 2017 is better. 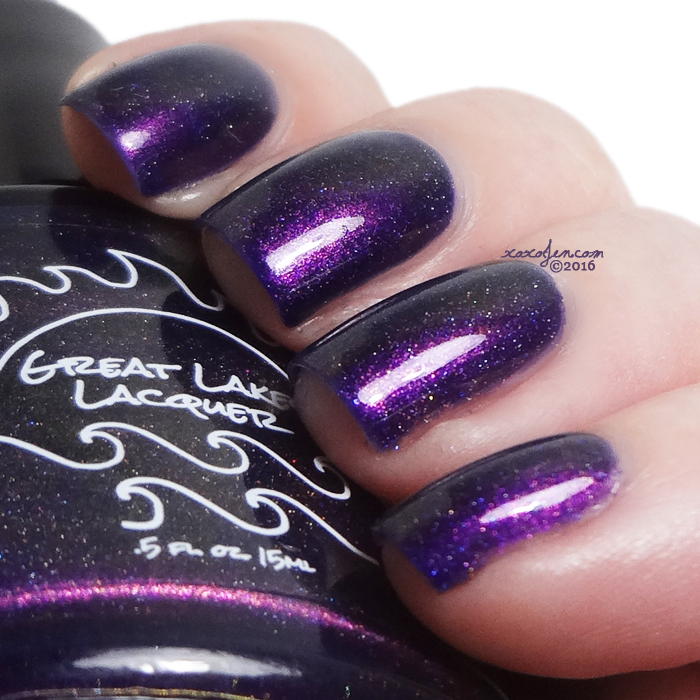 An indigo multichrome that shifts from purple to red to gold to green with a light linear holo or strong scattered holo, depending on your view point. 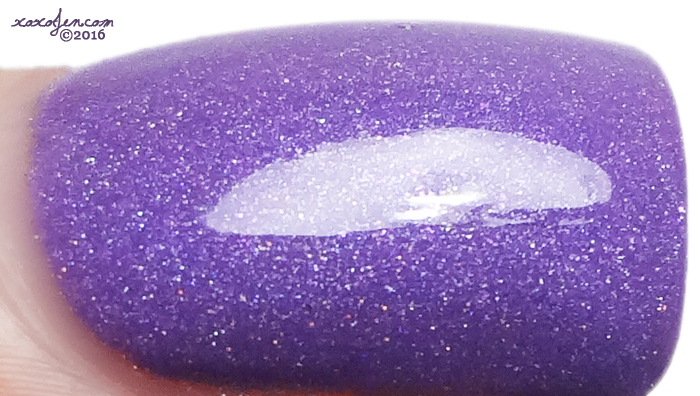 The below are the same polish, just at different angles and distance from the same light source. Can you believe it!? 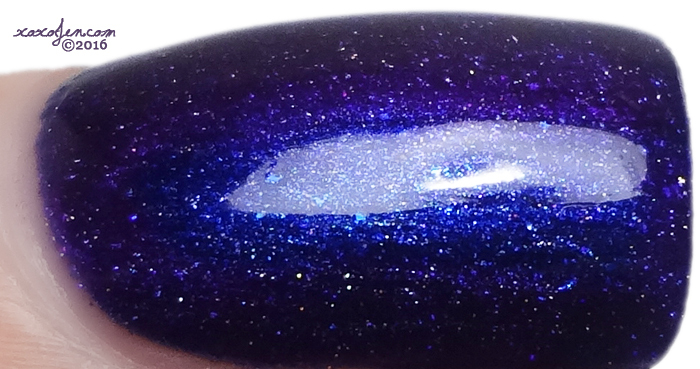 Fade to Winter (December LE) is a cornflower blue (warm) to slate blue (cold) thermal with blue/purple shifting shimmer and scattered holo. 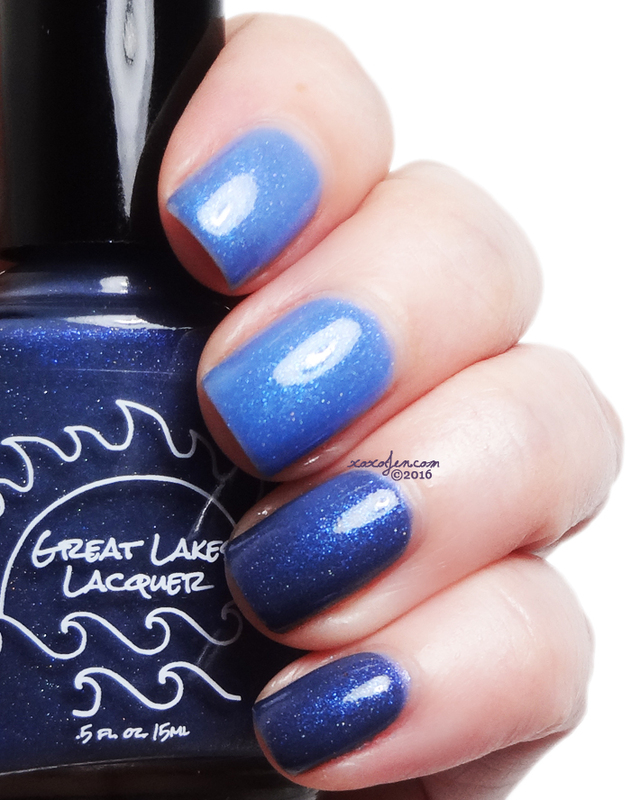 The polish color is an ode to the stolen blue sky of summer. 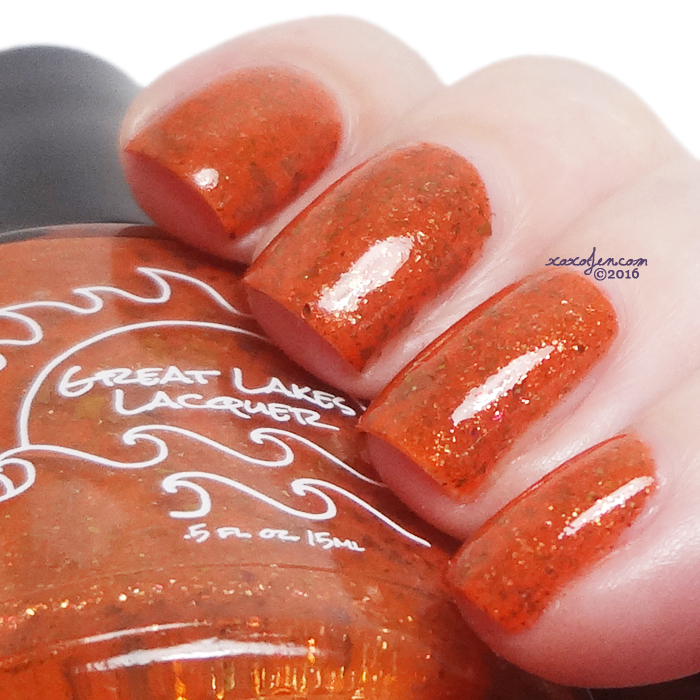 I used two coats for each polish except Fade to Winter which was three coats. 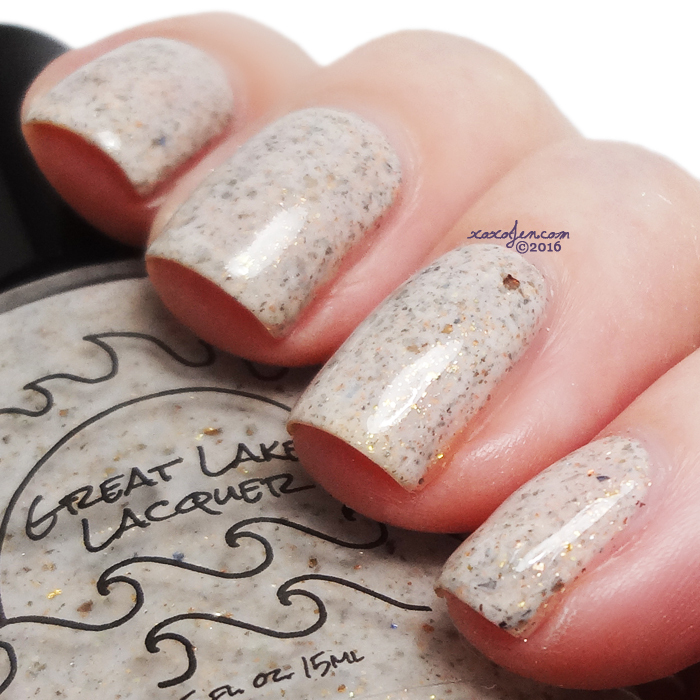 The formula for each is buttery and smooth and the wear time on me is fantastic. I wore Fade to Winter for nearly a week with no chipping. 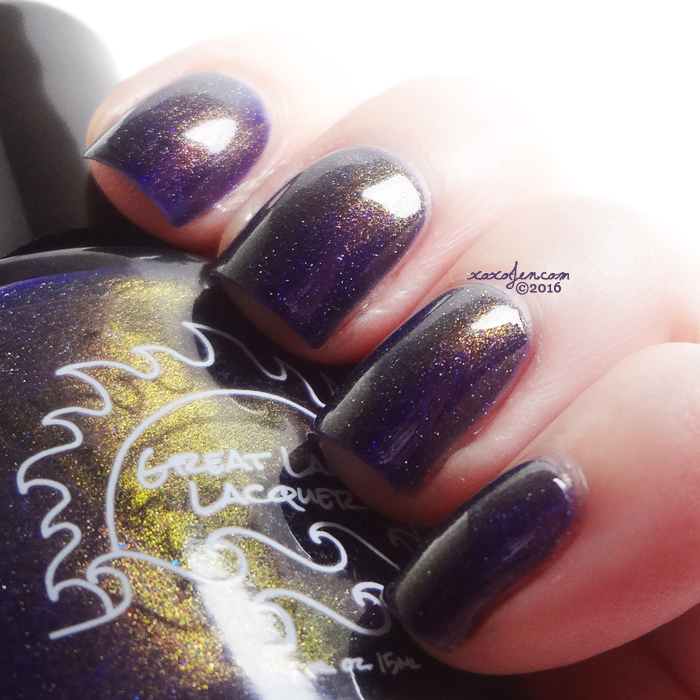 I hope you've enjoyed the photos and review - which polishes are you loving? Some wonderful colors these are.